With all the news about 5G there are some issues that need to be addressed, and Norsat International Inc. (“Norsat” or “the Company”) announced the launch of a family of products and solutions to address interference issues for the introduction of 5G within the C-band spectrum. • 3200-BPF — This family of C-band phase-locked loop (PLL) LNBs can mitigate 5G signals up to -20 dBm with no performance degradation. This high-performance LNB can be used in conjunction with our BPF-C filters for greater rejection. • BPF-C Band Pass Filter — Comes in a variety of frequency ranges with variable rejection offerings. • Custom LNB and Filters — As every installation is unique depending on the antenna position relative to the 5G source, Norsat can also provide custom variants of these products to meet special requirements. • Solutions — Norsat offers consulting services to provide complete solutions for existing networks experiencing 5G issues. 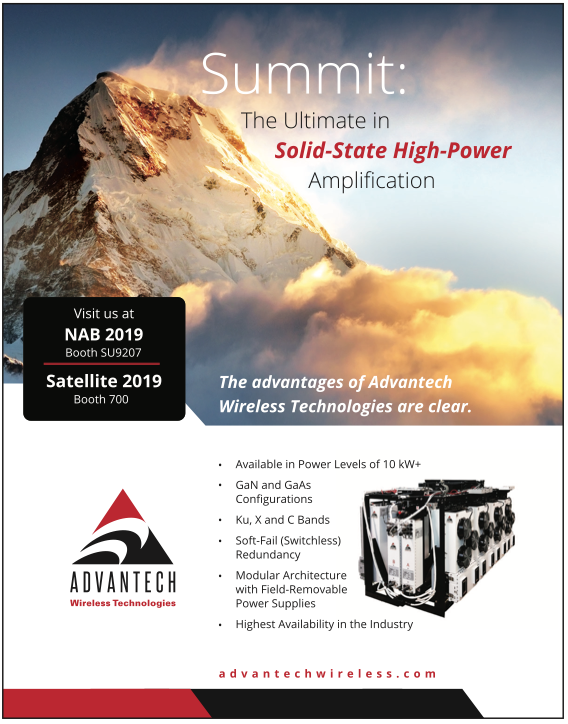 Dr. Amiee Chan, President and CEO of Norsat said that they are excited to bring these new products and solutions to market to address the increasing issue of 5G interference on C-band ground terminals. Norsat is a pioneer in the satellite industry and has been working through interference issues on satellite terminals for years. They are pleased to be part of the coordination effort to ensure a smooth transition of 5G into the C-band spectrum. These products are available now — first shipments are scheduled for Q2 2019.
of LEO. Photo is courtesy of Made In Space. During the Fall of 2018, the Archinaut system underwent thermal vacuum (TVAC) testing at teammate Northrop Grumman’s Space Park facility in Redondo Beach, California. TVAC testing simulates the thermal and pressure environment of a satellite in LEO to validate the technology readiness for the space environment. The testing is part of the Archinaut Technology Development Project (ATDP), funded by NASA’s Space Technology Mission Directorate (STMD). 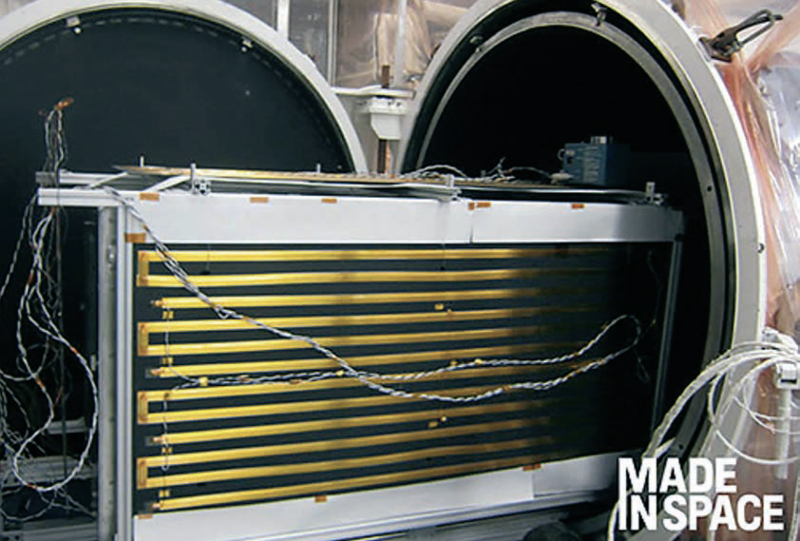 During TVAC testing, MIS successfully demonstrated manufacturing and robotic assembly of a variety of structures. While inside the vacuum, operations were monitored and inspected by an internally developed camera system to validate proper printing and assembly operations. MIS demonstrated autonomous reversible connection and joining techniques of 3D printed parts and other pre-fabricated components such as nodes and trusses via a robotic arm system and end effector designed for in-space assembly operations. Furthermore, the robotics system is also capable of carrying out repair operations and can be integrated into smallsats for payload retrievals and installations. One example application of Archinaut is the PowerKit system, which can deploy a 2 kW power system on a 150 kg., ESPA-class satellite, nearly 5x the average state-of-the-art power system. This is made possible by using the onboard Extended Structure Additive Manufacturing Machine (ESAMM), where expansive solar array systems are deployed from the satellite bus. These solar arrays, paired with Archinaut’s power system, will provide large satellite power to an ESPA class satellite. Other deployment opportunities include large scale antenna used for remote sensing, telecommunications, and scientific exploration. Archinaut’s core additive manufacturing ESAMM technology was the first piece of hardware to successfully manufacture in a space-like environment mid-2017. Shortly after, ESAMM set a Guinness Book World Record by fabricating the “world’s longest 3D printed non-assembled piece.” The beam, measuring at 123.69 feet (37.7 meters), represents a building block showcasing the large scale structures Archinaut will manufacture and robotically assemble in space. The MIS-led team includes Northrop Grumman, which provides systems integration, and Oceaneering Space Systems, who developed the hardware robotic arm. MIS sees the union of 3D printing and robotic assembly as paramount to optimizing large structures for the space environment that are otherwise too large to be launched in a rocket fairing from Earth. Archinaut’s multi-purpose technology will also enable repair, upgrade, and sustainment missions which will ultimately play a key role in space commercialization. 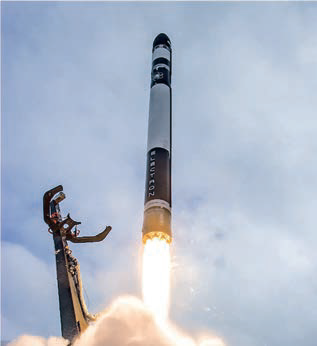 An important mission was successful as a Rocket Lab Electron launch vehicle successfully lifted the R3D2 satellite for DARPA from Launch Complex 1 on New Zealand’s Mahia Peninsula at 23:27, March 28th UTC (12:27, 29 March NZDT). The mission launched a prototype reflect array antenna to orbit for the Defense Advanced Research Projects Agency (DARPA). The launch marks Rocket Lab’s 25th satellite deployed to orbit, continuing the company’s mission success heritage. And this is just the beginning with a busy year of launches booked for lift-off every four weeks. Rocket Lab’s consideration for the atmosphere is revealed as throughout the mission Rocket Lab’s unique Kick Stage, an additional stage designed for precise orbital deployment and equipped with the ability to deorbit itself upon mission completion to leave no orbital debris behind. Rocket Lab was selected for the launch because of the company’s proven mission heritage and its ability support rapid acquisition of small satellite launch capabilities. Due to Rocket Lab’s streamlined acquisition practices, DARPA’s R3D2 mission was launched just over 18 months from conception — a significant reduction in traditional government launch acquisition timeframes. With proven flight heritage from four orbital missions, Rocket Lab is the only fully commercial small satellite launch service provider in operation. 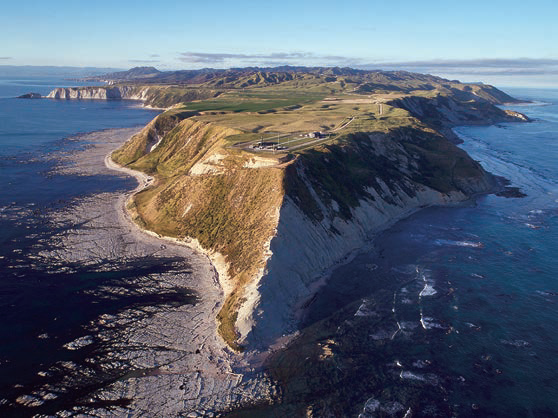 The experienced Rocket Lab team has delivered 25 satellites to orbit, including innovative new space technologies that provide vital capabilities such as weather monitoring, Earth Observation (EO) and Internet of Things (IoT) connectivity. The R3D2 mission was Rocket Lab’s first of 2019, as the company heads into a busy year of launches booked for lift-off every four weeks. To support the smallsat industry’s highest launch cadence, Rocket Lab is currently producing one Electron launch vehicle every 30 days across its Huntington Beach, California, and Auckland, New Zealand, production facilities. DARPA’s R3D2 (Radio Frequency Risk Reduction Deployment Demonstration) spacecraft intends to space-qualify a prototype reflect array antenna to improve radio communications in small spacecraft. The 150 kg. spacecraft carried an antenna, made of a tissue-thin Kapton membrane, designed to pack tightly inside the small satellite for stowage during launch, before deploying to its full size of 2.25 meters in diameter in LEO. The design is intended to provide significant capability, typical of large spacecraft, in a much smaller package. The mission could lay the groundwork for a space-based internet by helping to validate emerging concepts for a resilient sensor and data transport layer in low Earth orbit — a capability that does not exist today. The R3D2 mission was launched on an Electron launch vehicle, comprised of two fully carbon-composite stages, powered by a total of ten 3D printed and electric pump-fed Rutherford engines, designed and built in house by Rocket Lab at the company’s headquarters in Huntington Beach, California. The R3D2 payload was deployed to a circular orbit by Rocket Lab’s unique Kick Stage, an additional stage designed for precise orbital deployment and equipped with the ability to deorbit itself upon mission completion to leave no orbital debris behind. The Australian Government has just announced $A12 million for the space industry in the South Australian capital, consisting of $6 million for the Mission Control Center and $6 million toward establishing a Space Discovery Centre for STEM education, also in Adelaide. Australian firm Myriota has also revealed that former Space Shuttle commander Pamela Melroy has joined the company’s board . 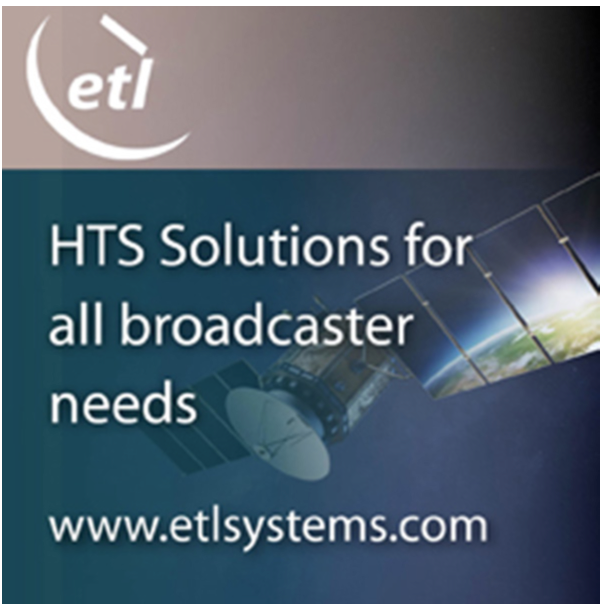 This announcement comes just three weeks after Myriota announced the first of a string of commercial products that will use the firm’s low-cost, Earth-to-satellite transmission technology. 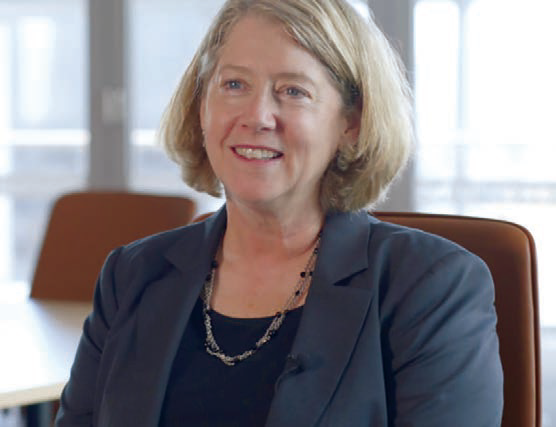 Melroy, a former NASA astronaut and ex-DARPA Deputy Director of the Tactical Technology Office, joins Myriota’s board as a non-executive director. Existing members of Myriota’s board include Chairman Peter Mabson, who is also President of Canadian company ExactEarth Ltd; an early international investor into Myriota, which is based in Adelaide, South Australia. “As one of only two women to ever command a space shuttle, Pam is used to breaking new ground in space exploration,” CEO and co-founder of Myriota, Dr. Alex Grant said. Melroy brings expertise in the global space industry, having spent more than 30 years at the forefront of space exploration, including as a shuttle pilot and commander, as well as thousands of hours logged working on multiple space shuttle missions. She began her career as a pilot in the United States Air Force, before joining NASA and becoming the second woman to command a NASA space shuttle mission. Following a distinguished career at NASA, Melroy held a number of senior roles in private industry and public administration including at the FAA’s Office of Commercial Space Transportation, and DARPA (Defense Advanced Research Projects Agency). She is currently Director of Space Technology and Policy for Adelaide-based professional services firm Nova Systems, a position she has held since 2017. Melroy said she was excited to be joining Myriota as it ramps up its efforts to apply space technologies to solve global problems. “The industrialisation of space is improving the world’s ability to monitor and communicate globally, and is having real world benefits on industries including agriculture and logistics,” she said. Former NASA astronaut Pamela Melroy. Myriota is based at Lot Fourteen, an innovation precinct in the CBD of Adelaide that will also host the Australian Space Agency from July, and is part of a growing ecosystem of more than 80 companies working in the space industry in South Australia. Managing Director of Boeing HorizonX Ventures Brian D Schettler said Melroy’s world-leading space experience made her “the perfect person to help Myriota navigate the next phase of its global expansion”. “Myriota is a company poised to make a big impact on the global IoT industry, and the appointment of Pam Melroy to its board adds a new dimension,” he said. Photo of the Sabre engine is courtesy of Reaction Engines. Reaction Engines has received further endorsement of their SABRE™ engine design via its collaboration with ESA and the UK Space Agency (UKSA). 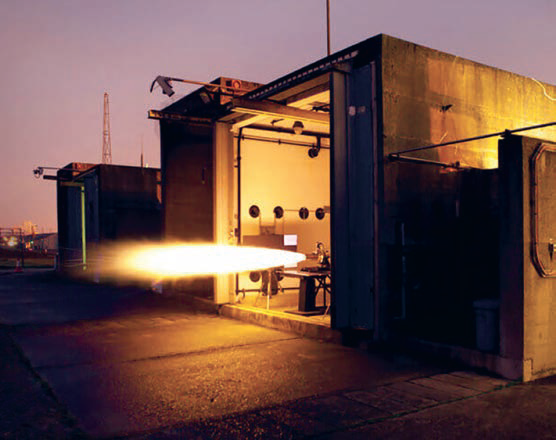 The two agencies recently reviewed the preliminary design of the demonstrator engine core of the Synergetic Air-Breathing Rocket Engine (SABRE), which Reaction Engines will use to undertake ground-based testing at its under-construction test facility at Westcott, Buckinghamshire, UK. Reaction Engines launched a significant new element of its development program in October of 2016 to design, build and demonstrate a SABRE engine core. The test item consists of an engine core, which is a major module of the complete SABRE engine, but without the pre-cooler and rocket nozzle in place. This core design and development activity is a major undertaking and upon completion of the tests, major elements of the world’s first air-breathing engine capable of accelerating from zero to Mach 5 will have been demonstrated. The SABRE engine core tests are part of a range of development activities currently underway at Reaction Engines. The company will shortly begin its HTX ‘hot’ heat exchanger testing in a unique test facility the firm has constructed in Colorado, United States. The HTX test program is a manufacturing and performance ground-level demonstration of the SABRE engine ‘Pre-Cooler’ heat exchanger in a high temperature environment, similar to that expected to be seen by the SABRE engine during its air-breathing flight regime — up to 1000°C air inlet temperature. Over the last four years, Reaction Engines has raised more than £100 million from public and private sources and had secured investments from BAE Systems, Rolls-Royce and Boeing’s venture capital arm. ESA, via the UK Space Agency, has invested €10 million in SABRE development, together with £50 million from UKSA. 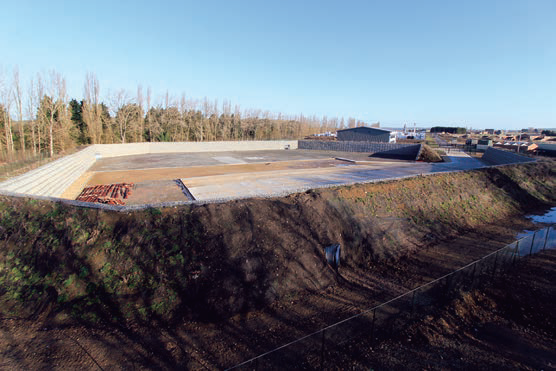 ESA also performs a technical oversight role on behalf of UKSA. A test firing of the Sabre rocket engine. Photo is courtesy of Reaction Engines. ESA’s involvement started in 2010 with an independent review of SABRE’s viability, opening the way to UK government investment. 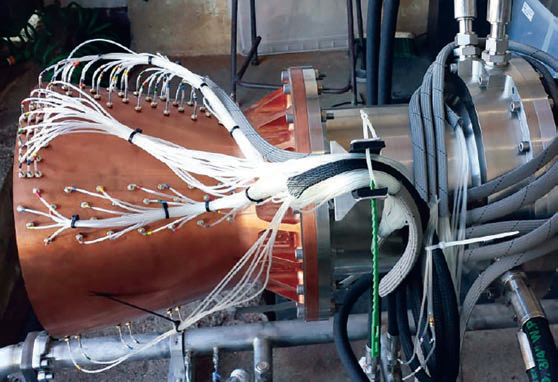 Then in 2012, ESA collaborated with Reaction Engines testing of a key element of SABRE—– the pre-cooler that cools the hot airstream entering the engine at hypersonic speed, the performance of which was fully validated under ambient air temperatures. The complete air-breathing core demonstrator will be fully representative of the SABRE thermodynamic core cycle, fueled by liquid hydrogen, and will contain heat-exchangers, combustion and turbomachinery modules. Streak and Black Arrow rockets were tested. 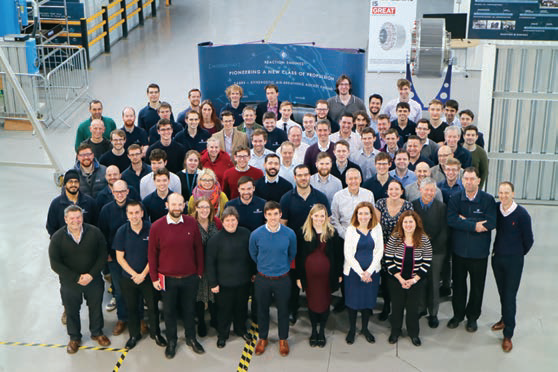 Shaun Driscoll, Programs Director, Reaction Engines, said the company has had a hugely supportive relationship with ESA and is delighted with this further endorsement of the SABRE engine design. This step opens the door to some exciting testing milestones which the company will be undertaking in the next 18 months and moves the firm closer to the demonstration of the first SABRE engine, a unique class of scalable aerospace engines, which will revolutionize the way travel is accomplished around the globe as well as get into orbit. The Sabre team. Photo is courtesy of Reaction Engines. Richard Varvill, CTO, Reaction Engines, added that one of the great advantages of the SABRE propulsion concept is that it is totally modular from both design and operational perspectives. Therefore, it is possible to subject each of the key components of the engine to rigorous ground testing, which fully mimic the operational conditions the engine will face up to Mach 5 flight at 25 km. altitude. Chris Castelli, Director of Programs at the UK Space Agency, reported that this is the home of the jet engine — the UK has a rich aerospace heritage and world-renowned skills and expertise. This is an exciting landmark for Reaction Engines in the development of their SABRE engine, which could revolutionize both access to space and international travel by powering aircraft to five times the speed of sound. 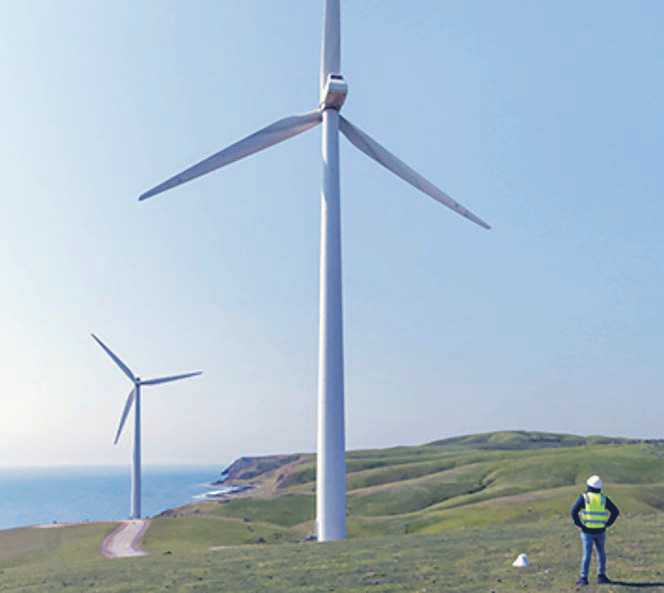 The final trials of listening devices that monitor the health of wind turbines and use satellite communication to transmit data will take place in the coming months ahead of a commercial launch mid year. Ping Monitor at the Starfish Hill wind farm in Australia. Adelaide, Australia,-based startup Ping was awarded an $A170,000 Australian Government Accelerating Commercialization grant last week to help trial, upscale, connect and launch its device on domestic and international markets after six years in research and development. The Ping Monitor is a world-first application of aero-acoustic analysis to help continually detect wind turbine blade damage and has the potential to replace or reduce drones and maintenance crews that routinely inspect wind turbines, sometimes long after a problem has occurred. An initial, portable, Ping Monitor was launched in September of 2018 but a new solar-powered version that is fixed magnetically to the turbine pole about two-meters above ground or sits off the ground alongside the turbine will be launched mid year. The 2.0 version will also benefit from a collaboration between Ping and South Australian IoT satellite communications company Myriota, enabling the acoustic monitor to transmit data into the cloud from almost anywhere on Earth regardless of cellular network connectivity. A Ping Monitor version 2.0 and associated solar panel will use magnets to affix to turbine towers. There are about 400,000 active wind turbines in the world with blades up to 80 meters long that spin up to 300km/h. Ping CEO Matthew Stead said pilot trials of the updated monitor are being conducted in Australia, the United States and follow extensive version one trials last year that tested analytics and fault detection algorithms. The key piece of technology in the patented device is the algorithm that can rate the health of the turbine based on its acoustic signature on a scale of one to five and monitor changes over time. Stead said there were 3,800 blade failures globally, per year, that cause as much as $5 billion in damage. He said sources of damage included lightning strikes, hail, sand, rain, wind and accelerated wear in coastal environments. “We’ve seen some sites where they’ve got damage that they didn’t know about for a year or another site hadn’t been inspected for three years — you don’t really want the damage getting worse over time,” Stead said. Fellow South Australian startup Myriota has been scaling up since the company was spun out of the University of South Australia in 2015 and last year raised $15 million through a Series A funding round, with Boeing HorizonX Ventures among the contributors. The company launched its fourth, next generation smallsat on Spaceflight’s SmallSat Express mission aboard a SpaceX Falcon 9 in December of last year. Myriota last month announced a collaboration with another Australian company to connect mass-market water-level sensors to its low-cost, Earth-to-satellite transmission technology, enabling farmers to receive water level data direct to their mobile phones. Ping has been part of the first cohort of the Venture Catalyst Space program run by the University of South Australia at its Innovation and Collaboration Center. 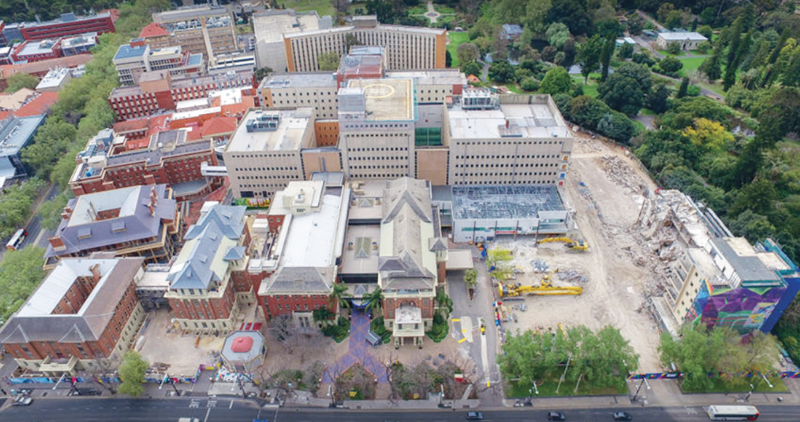 Stead said he hoped to move the company to Lot Fourteen, a former hospital site in the center of Adelaide that is being transformed into an entrepreneur and defence hub, alongside existing tenants Myriota and the new Australian Space Agency. South Australia has been a major player in the nation’s space industry and is home to major Tier 1 defence companies and several emerging space start-ups, including Fleet Space Technologies and Southern Launch, which is establishing a launch facility in the state’s northern area. GMV has helped to achieve all of the OneWeb constellation goals, having won the contract in 2016 for developing the command and control (C2) center for the entire constellation. 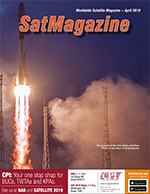 On February 27, at 21.37 UTC, the first six satellites of OneWeb’s constellation were successfully launched on a Soyuz rocket from the Kourou spaceport. These six satellites form part of a constellation to be initially comprised of 648 LEO satellites, possibly building up to as many as 900 satellites as needed to meet clients’ growing needs. 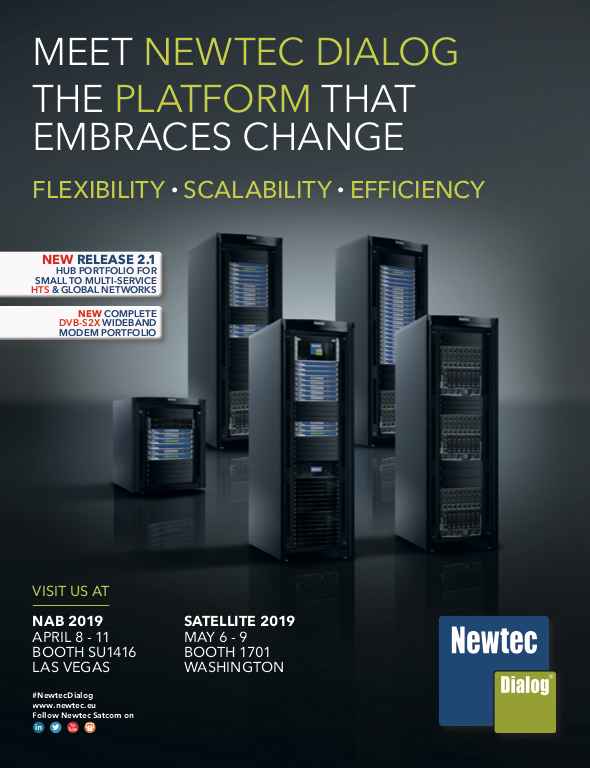 After weighing diverse C2 platforms, OneWeb opted for GMV’s product line, technologies that are capable of meeting OneWeb’s specific and complex needs while adhering to a tight development schedule. GMV’s C2 system has been installed in the constellation’s UK and U.S. operation centers and will be providing access to the command process and telemetry, automation of contacts between the satellites and ground antenna as well as keeping track of the overall state of the constellation. GMV’s command and control center includes different solutions from its in-house real-time product line, such as hifly® for satellite monitoring and control; flyplan, for automation of contacts, and fleetDashboard. There were all developed in collaboration with OneWeb’s operations team, which will provide global knowledge on the state of the constellation. 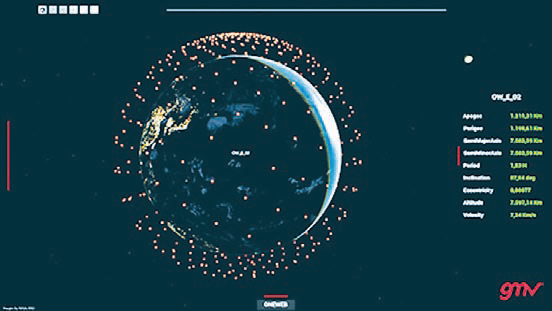 OneWeb’s constellation will provide connectivity for billions of users around the whole world, taking communications networks to areas that would otherwise be unconnected. The system can provide global 3G, LTE, 5G and WiFi access at affordable prices to users right around the world. This launch marks the transition from successful proof-of-concept to the commercialization of OneWeb “for everyone, everywhere,” all in the interests of bridging the digital divide. OneWeb has now initiated the deployment of the biggest satellite constellation ever produced; from the close of this year, the company will regularly launch about 30 satellites each month. OneWeb has also committed to connecting up to six schools in formerly unconnected regions of the world: Alaska, Nepal, Honduras, Ecuador, Rwanda and Kyrgyzstan.